Pujari has employed a top lawyer in Senegal, for fees in the range of Rs 7 crore, and is likely to contest the extradition procedure, police officers said. Since Senegal does not have capital punishment, the extradition process may require a guarantee that Pujari will not be executed if convicted under Indian laws. THE MINISTRY of External Affairs (MEA) has granted clearance to a senior police officer from Karnataka to travel to Senegal for completing the procedure to extradite gangster Ravi Pujari (50), who was detained in Dakar on January 19 on the basis of information provided by Indian agencies. In the absence of a bilateral extradition treaty with Senegal, India is looking at extraditing Pujari under the United Nations Convention against Transnational Organised Crime, adopted in 2000 as “the main international instrument in the fight against transnational organised crime’’. According to the MEA’s guidelines, “Article 16 of UNCTOC can be used as a basis for extradition of fugitive criminals accused/ convicted of offences that are classified as organised crimes’’. 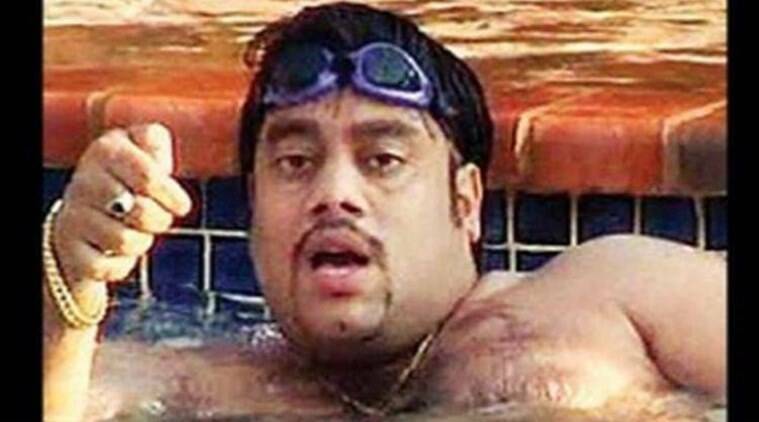 Ravi Pujari has cases against him under the Maharashtra Control of Organised Crime Act (MCOCA), enabling his extradition under UNCTOC. The identity of Pujari, who was living in Senegal as Antony Fernandes, a hotelier with Burkina Faso citizenship, has been positively established through fingerprints sent to Senegalese authorities, and the paper work — including French translations of chargesheets in which Pujari’s aides have been prosecuted — have been dispatched, said Additional Director General of Police in Karnataka, Amar Kumar Pandey, who is coordinating the extradition process. The senior police officer has been involved in pursuing Pujari in recent months, leading to his eventual detention in Senegal. “The process of translation of case details reported in local languages from across the country into English and then French is completed and this has been sent to judicial authorities in Senegal through diplomatic channels for completion of extradition of the fugitive Ravi Pujari,’’ ADGP Pandey said. The Indian authorities are hopeful of clinching Pujari’s extradition since Senegal has a record of being tough on international criminals, with fugitives from Italy and China extradited in recent times. It was the Dakar police who located and detained Pujari from a barber shop in January this year, after he was tracked across West African countries by Indian authorities. After Pujari was detained on January 19, Senegal’s interior ministry informed Indian authorities on January 21. Police officers in Karnataka said there were no reports of extortion calls to businessmen in India from Ravi Pujari over the last two months following his detention in Dakar, further confirming the gangster’s identity. Pujari is expected to stand trial first in Karnataka for the 2007 shooting of two employees of a real estate firm, Shabnam Developers, who died when his gang members allegedly tried to kill the owner of the firm who resisted extortion attempts. A tip-off about Pujari being a partner in a restaurant chain called “Namaste India’’ in some West African countries set the Karnataka Police on his trail last year. There are 97 cases of extortion against Pujari in Karnataka. In two cases in Mangalore, from where Pujari hails, he has been sentenced to a life term and a seven-year term. Pujari also has dozens of cases against him in Maharashtra, Kerala, Gujarat and other states.